Sailor Moon is an early 90's Shojo manga written by Naoko Takuechi. The story follows Usagi Tsukino, a hopeless 14 year girl who meets a cat called Luna and discovers that is "Sailor Moon" a superheroine. 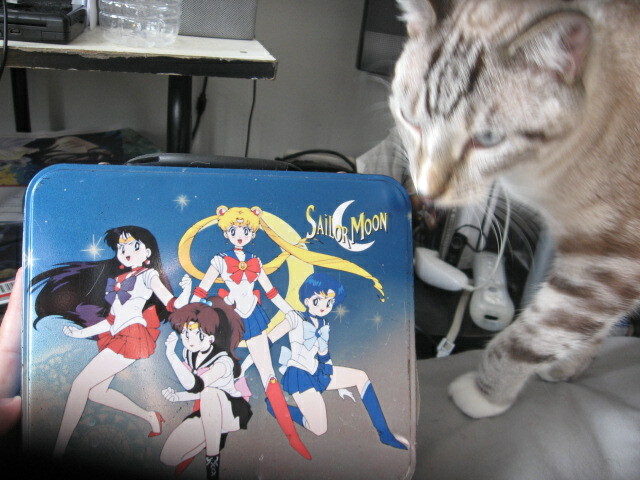 With the aid of her allies and the mysterious Tuxedo Mask, Sailor Moon battles the forces of evil! Note: Personalities may vary depending on the version. Left to Right: Sailor Mercury, Sailor Mars, Sailor Jupiter, & Sailor Venus. Ami Mizuno is Sailor Mercury, a highly book-smart person who fights with water. Rei Hino is Sailor Mars, a Miko who fights with fire. Makoto Kino is Sailor Jupiter, a tall fighter who fights with lighting. Minako Aino is Sailor Venus, who was originally a crime fighter under the name of Sailor V.
Haruka Tenou & Michiru Kaioh are Sailor Uranus & Neptune, a lesbian couple who are the Guardian of the Sky and the Guardian of the Seas respectively. Hotaru Tomoe is Sailor Saturn, the Soldier of Ruin and Birth and Setsuna Meioh is Sailor Pluto, the guardian of time. 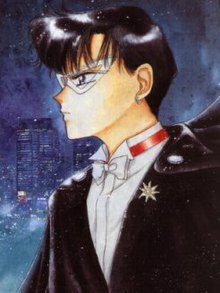 Mamoru Chiba is Sailor Earth, who can transform into Tuxedo Mask and aid Sailor Moon in battle. 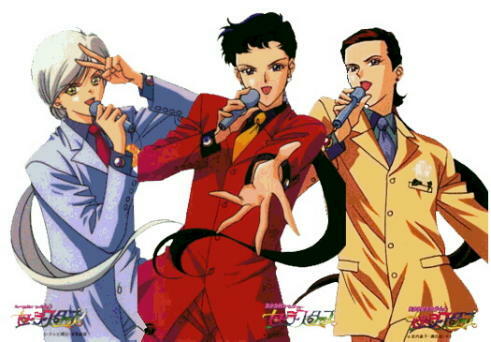 Left to Right: Yaten Kou, Seiya Kou, and Taiki Kou. The Starlights are females who disguise themselves as male to search for their Princess, Kakyuu. 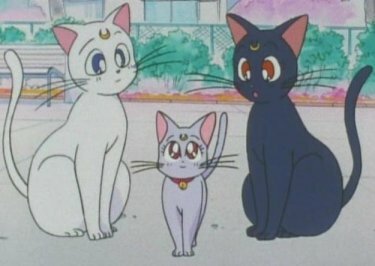 Left to Right: Chibichibi, Sailor Moon, Chibiusa. Chibiusa is the daughter of Sailor Moon and Tuxedo Mask, and her Chibi version. Chibichibi is more like the Pokemon version, who just says her name over and over again. Left to Right: Arthemis, Diana, & Luna. The first one guides Sailor Venus, the last one guides Sailor Moon, and the middle one if the result of their affection for each other. Ali & Ann, two aliens who are essentially evil counterparts of Usagi and Mamoru, come to the Earth as humans seeking energy for their Doom Tree. They only appear in the 90s anime. Wiseman is an avatar of Death Phantom who wants to rule the universe. He works with the Dark Moon family, who in turn dispatch Rubeus and the Ayakashi Sisters. Professor Tomoe serves Mistress 9, who in turn serves some all-powerful deity called Pharaoh 90. His henchmen include the wonderful Witches 5. Led by Zirconia, he is looking for the Golden Crystal to free Queen Nehelenia. Their underlings include the Amazon Trio and the Amazoness Quartet. A group of villains that want starseeds, the essence of a human. 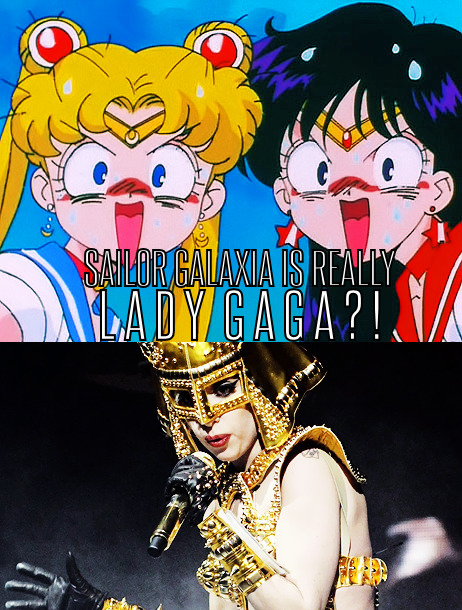 Sailor Galaxia is the most well known villain of the bunch, even Lady Gaga impersonates her. The original medium for the series. Sailor V, a series where Minako Aino battles crime on her own, was the original series and then later the series became Sailor Moon. While Sailor V followed a Monster of the Week format like the 90s anime did, the Sailor Moon manga is more plot-driven and serious. The manga moves at a fast pace, meaning there is not much room for character interaction, and it generally focuses on Usagi and Mamoru. Due to these differences, the manga meets with a mixed reception among fans of the anime. Junichi Sato adapted the Dark Kingdom storyline for Toei Animation in the early 90s, and his version of the Dark Kingdom closed all plot points. 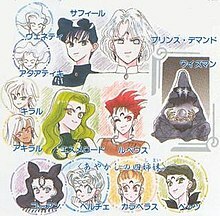 In order for Toei to adapt the Black Moon arc, the Ali & Ann arc was made as an anime-original storyline to serve as a bridge between the Dark Kingdom arc and the Black Moon arc. Once Toei got around to the Black Moon arc, Kunihiko Ikuhara took over as the lead director, although Sato still helped work on the show. Ikuhara remained the series lead director until the final season Sailor Stars, where he retired from working on the franchise and Takuya Igarashi took over. In 2014, Toei made a new Sailor Moon anime named Sailor Moon Crystal, which served to be a more faithful adaptation since the 90s TV Series was more of a loose adaptation. 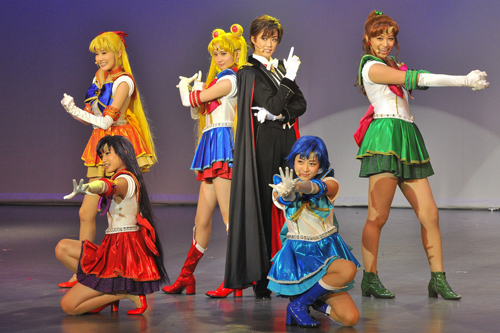 Various productions have been made to tell the story of Sailor Moon in the context of a musical. Prolific screenwriter Yasuko Kobayashi wrote an adaptation of the Dark Kingdom storyline for Toei as a Tokusatsu in 2003. Pretty Guardian Sailor Moon keeps a balance between keeping elements of the manga while staying to the pace of the original anime, but the production values leave a lot to be desired. This thread's a real slam dunk! All descriptions are entirely based on the animated version, personalities may vary depending on the version. Get the GIF's out people. My favorite Senshi is Minako, favourite villain Fisheye, and favourite Season is S.
My favorite senshi is Mercury followed by Saturn, and I really enjoyed S. The manga is more fresh in my mind given that I've been buying them on a monthly basis. I honestly can't pick any favorites. I like them all too much. I will say that I like the Sailor V and original Sailor Moon designs a bit more than the regular ones, though. It's too bad that she pretty much immediately ditches the mask and stuff. Oh, well. Usagi's got more outfits than '90s Batman toys did. The original manga or the Black Dog manga? Yet Makoto is still the most talented. Just saw Episode 31 of PGSM. Motoki = best karaoke owner. He pursues Makoto and doesn't afraid of anything. Wait, what's this about Lady Gaga and Galaxia!? Do you know which episode of PGSM has Ami become a Japanese sword-yielding nun for a brief moment? Somewhere in the 20s, I think. Is that the one with the American priest? It's hilarious. I need to know more about this Lady Gaga impersonating Galaxia thing. 7/10. Not a bad effort. Try Iron Mouse next time. Best member of the Shadow Galactica. Still the only villain smart enough to interrupt Sailor Moon's speech and straight-up leave. Wrote a quick write-up on a few of the more popular Sailor Moon video games. May continue on later with the rest if you guys would like me to. Bishoujo Senshi Sailor Moon (Super Famicom/SNES): A 2D side-scrolling beat 'em up based on the original Dark Kingdom arc. The five inner senshi are playable, and feature slightly different attacks. The gameplay is pretty basic for the genre, but each character does include a projectile attack specific to them, such as Moon having her Moon Tiara Action, Venus her Crescent Beam, etcetera. Crowd control attacks are also available, and as per the usual, they will use up some of your health. The game contains five stages, based on select areas from the anime, and each stage ends with a boss based on a youma from the series, then later on Zoicite, Kunzite, Prince Endymion, and Queen Beryl herself. Supports up to 2 players in co-op. Bishoujo Senshi Sailor Moon R (Super Famicom/SNES): Another side-scrolling beat 'em up, this time based on R season, the Black Moon arc. Gameplay is roughly the same, but a new versus mode is introduced into the fray. A special single player-only Chibiusa mode is also included. Bishoujo Senshi Sailor Moon S: Jougai Rantou!? Shuyaku Soudatsusen (Super Famicom/SNES): A 2D fighter based on the S season. 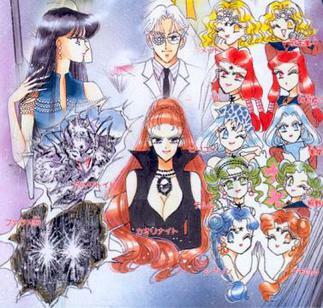 Features the Inner and Outer (minus Saturn) Senshi as playable characters. Gameplay mechanics include air dashing and a fairly flexible combo system. In single-player mode, one can adjust their individual stats to help them along the game (it's very difficult otherwise). Modes include Story, Versus, and Tournament. 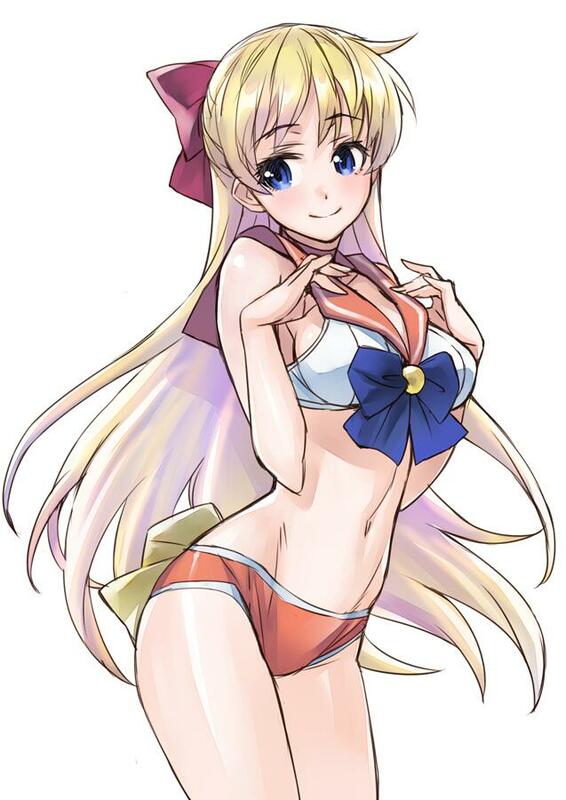 Bishoujo Senshi Sailor Moon SuperS: Zenin Sanka!! Shuyaku Soudatsusen (Super Famicom/SNES): Sequel to the above 2D fighter, this time based on the SuperS season. All ten Senshi are selectable in Versus modes this time, but only the inners and Chibimoon are playable in the single player Story Mode. Tournament and Training modes are also included. 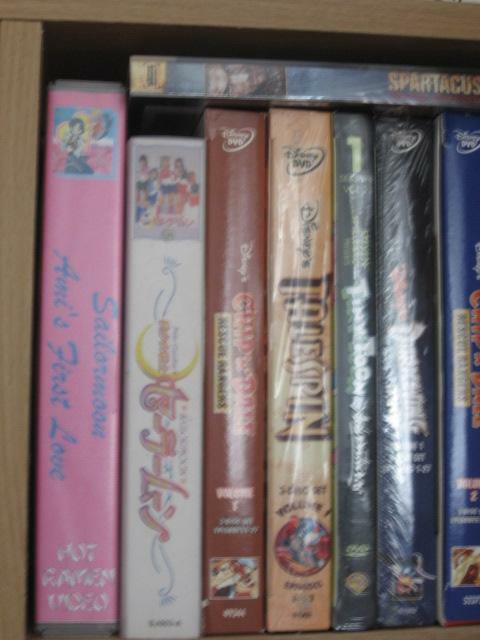 Bishoujo Senshi Sailor Moon: Another Story (Super Famicom/SNES): The series first and only RPG game. Features a unique a story not based on any pre-existing plotlines, with a new enemy named Apsu from the future who plans to take the Silver Crystal and change the fates of everyone, including previously defeated enemies. Combat is clasical turn-based fighting, with a technique linking feature that can be used with combatible Senshi to create team up attacks and other techniques. Only available in Japan, but a fan translation exists. Bishoujo Senshi Sailor Moon (MegaDrive/Genesis): Another 2D side-scrolling beat 'em up based upon the original anime season. It contains some similarities to the Super Famicom game, but features extra techniques, unique stages, and new boss battles. This time, all of the four Shittenou are featured as bosses. New moves such as a long jump, long jump kick, and character specific command moves, are available. Gameplay is also considerably faster paced. If one completes the game on the Hard difficulty setting, they will be treated to an extra boss fight against Queen Metallia herself. Single-player only. Pretty Soldier Sailor Moon: Arcade-only beat 'em up game. 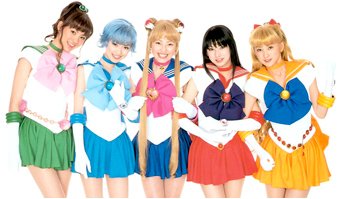 Features the five Inner Senshi as playable characters. Once again based on the first season. Similar to Final Fight in look and feel, but with special full screen attacks, similar to those included in Golden Axe. The game features two player co-op, but was originally intended to include up to four players. Sprite-animated special attacks and Sailor V were also originally going to be included, but were unused. Their data still remains hidden within the game, however. Widely considered the best of the beat 'em ups. And Super S: Various Emotion, a really bad fighting game with some neat cutscenes and great music. I have the Saturn version, but it's also on PS1. Yeah, I'm aware of those, but I haven't gotten to them yet. I just started writing all of that up a few minutes ago. Hah. I think SuperS: Various Emotion is one of the few games I haven't gotten the chance to personally try out...and from what I've seen, I'm not sure if I want to. But I might anyway. I kinda like bad games sometimes. Haha. The most remarkable thing about it is that they did original animated cutscenes for them. I was so excited just to watch those when I bought it. I had no knowledge of Japanese and was coming up with all kinds of theories on what it was about. It was my first import, so it's near and dear to me. Yep, I own this on PS1. Pretty awful game, but I remember how much I was geeking out the first time I saw the opening CG to Moonlight Densetsu. Ever watched the opening to the 3DO fighting game? It's pretty hilarious at times. Wow, that makes the CG one in Various Emotion look high tech. I can't tell if they're supposed to be showing off their fighting stances, or dancing. Either way, they've got some moves, yo! Oh man.. early CG. The future.. TODAY! D: Is that from the PC game? Edit: Silly me, missed the link to the video. It's from the opening to the 3DO fighting game, which I posted a few posts above. Here's some footage from the actual game. I thought it might have been from a game my sister had called The 3D Adventures of Sailor Moon. Turns out it looks even worse. Good god. I'd hardly call it a game. It was more like an activity studio. But yes, that opening is somehow worse. It gave me a good laugh, though! I don't remember if I watched it before, but I did read up on the "game" before. I'm still waiting for any info at all on that new anime they're doing. Last I heard there was supposed to be info in December or January, but still nothing. Did anyone else collect the Sailor Moon cards you could get at Toys R Us in the 90's? They were like a quarter, but it gave you a couple. I'm pretty sure I have the entire collection xD I should take a photo of them sometime. Funny, I found those in Miami too. It was at the Dolphin Mall though. 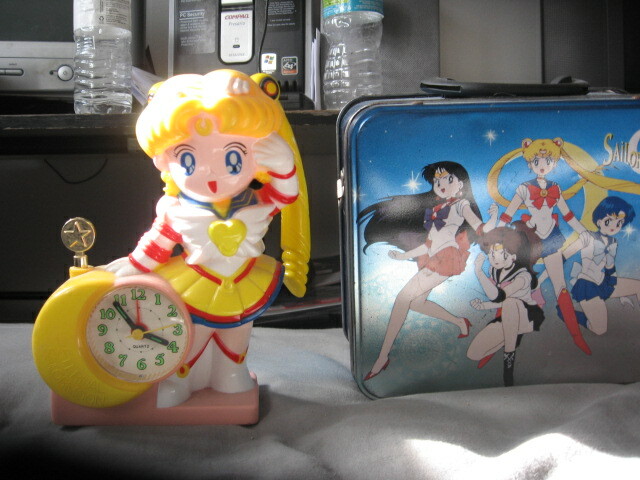 Only other thing I have of note are the Sailor Moon TCG Decks(Mercury, Moon, Venus). They're based on the DiC translations, for some reason. Ah, I see. The bottom stickers are the same as the top ones, though. Hah. Anyway, I hope you can find yours. Looking forward to seeing them! It's small, but I haven't been collecting for long. 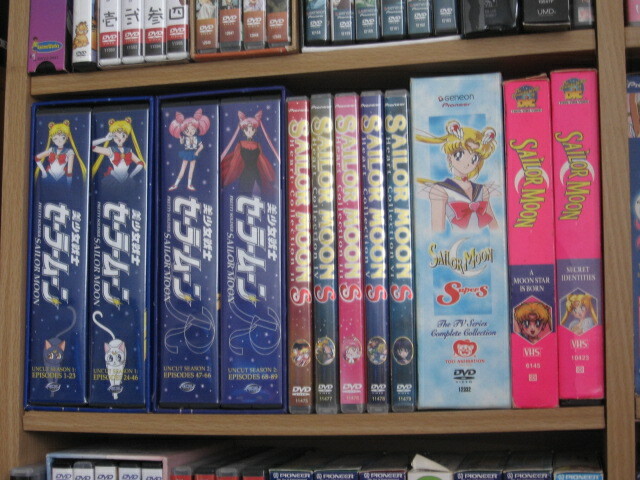 I only really got into Sailor Moon back in 2010 (I only watched a bit of the dub shortly before it was pulled from Toonami), and finding stuff around here in Florida nowadays ain't easy. I got the video games online earlier this year, and the Sailor Moon plush was a Festivus/Christmas present from a friend of mine back in 2010. I got the stickers during 2010 and 2011, before I moved. 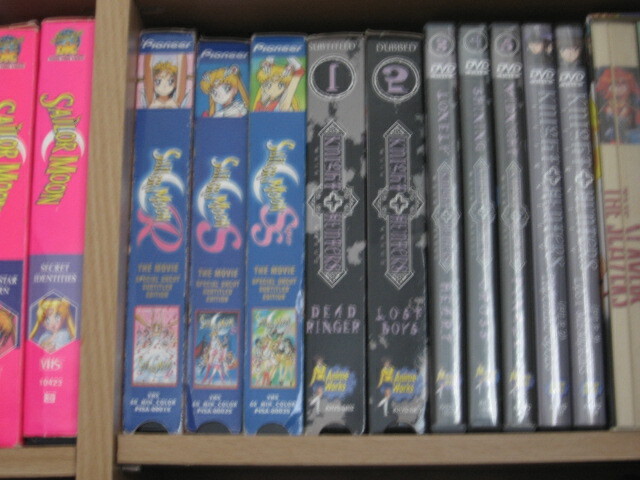 I bought the first manga volumes of Codename: Sailor V and Pretty Guardian Sailor Moon on release day. They were the only copies in the store. I got volume 2 of both shortly after release, but I only got 3, 4, and 5 a few weeks ago via Amazon. I still need to get the rest. Not shown: the aforementioned cards, and my Various Emotion game for Saturn. Sailor Jupiter will always be my fave. Shame PGSM didn't get to S/Super S. Imagine how awesome they would have made the Death Busters and the Outers. They did a bang-up job on Beryl. Even the wildly changed Generals are passable. Kunzite is a BOSS in PGSM. Zoisite is my favourite soldier in both anime and PGSM, even with the personality change. Ahh such beautiful death <3 dat staff.. I played and finished this. It is pretty simple and not very difficult (Mars' segment was the only one that gave me any trouble) and while Apsu was meh, I enjoyed the Oppositio Senshi and the story in general. Is it true that Naoko wrote it? On this note, is there a special reason why PGSM didn't get a second series? Did the toys sell that bad?